Both players staggered off of the court sometime after 2:00 a.m. in New York City; one a victor, one a loser. The victor, Rafael Nadal, had been on this stage before. An early-morning battle inside Arthur Ashe Stadium that raged on for nearly five hours, and in the end was won by Nadal 0-6, 6-4, 7-5, 6-7(4), 7-6(5) to reach the U.S. Open semifinals. It was Thiem who struck first on Tuesday night as the two competitors battled for the 11th time, but the first time on a hard court. The ninth-seeded Austrian delivered a near-perfect first set to hand Nadal a “bagel”, hitting 13 winners to just two unforced errors to win the opener in 25 minutes. Nadal did raise his level in the second set and Thiem’s dropped just enough with Nadal breaking twice to level the match. In the third, Thiem had a chance to serve for the set at 5-3, but Nadal, the top-seed and defending champion, rattled off four consecutive games to steal the third set and move within one set of the victory. Although he relinquished his break advantage in the fourth set, Thiem played dominant tennis in the tiebreaker to win the fourth set and left the semifinal spot to be determined by a deciding fifth set. Thiem was dominant on serve in the set, and Nadal as gritty as ever, saving five break points in the decider as the match, fittingly, would come down to a tiebreak. At 6-5 in the tiebreak, Nadal watched as Thiem’s smash landed beyond the baseline and brought an end to the four hour and 48 minute match, an instant U.S. Open classic. 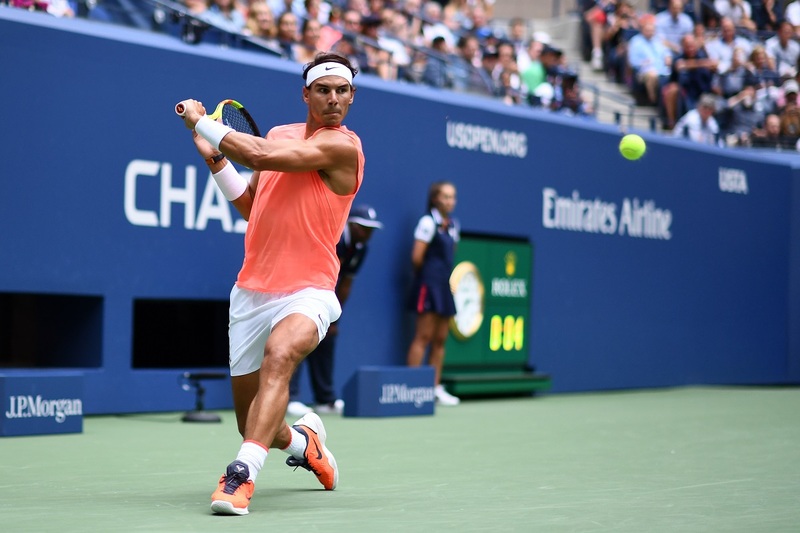 Nadal is now into the U.S. Open semifinals for the seventh time in his career, and awaiting him is third-seed and 2009 champion Juan Martin del Potro, who defeated American John Isner in four sets earlier in the day.